(Natural News) Bees are different from other insects in lots of little ways. But a new study now shows that as a group, they also behave rather differently, even when compared with individual bees. To be more specific, a group of researchers has determined that the way honey bees usually function, when they are in groups, is similar to how the human brain itself works. That is, individual bees come together to form a sort of superorganism, and each one acts like a neuron in the gray or white matter of the brain. This observation occurred to researchers at the University of Sheffield, and it is said that it has implications for fields outside of entomology and neurology, as it could help in both robotics and with artificial intelligence (AI) as well. Their findings were recently published in the journal Scientific Reports. When the researchers applied certain psychophysical laws to European honey bee colonies, which needed to send scout honey bees out to gather information and determine where the best location to build their nest is, they found that the bees needed to pick between either high- or low-quality nesting sites sometimes. Yet in other instances, they also needed to choose between two high-quality sites. But they always made a collective decision. Reina was the one who first referred to the bee colonies as superorganisms, explaining that they operate in synergy to help each other when surviving, foraging, and even reproducing. In that sense, they can be considered as a just a single entity. It’s interesting to note that, at least as far as the human brain is concerned, psychophysical laws don’t apply to individual neurons at all, and instead only really pertain to how the brain works as a whole unit. 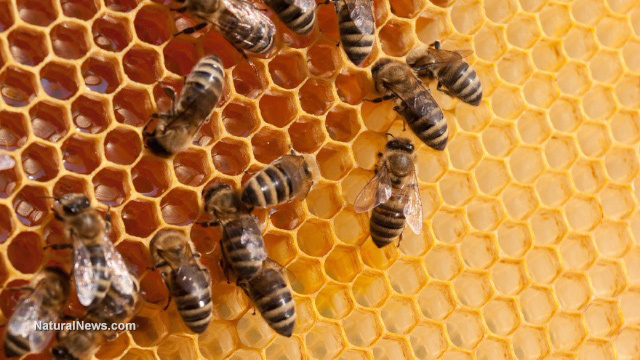 Just like the human brain, honey bee colonies appeared to make decisions as one collective, using the data that they have access to or have on hand and weighing the apparent quality of this data before really moving forward. The findings of the researchers could help in future efforts to get complex systems to operate autonomously, such as in AI and robotics. For now, it can give a clear look at some of the most obvious biological roots of certain psychological occurrences. Learn more about human brain function at Brain.news.